9 4/5" x 11 2/5"
As modern living leads to more and more of the urban experience, it becomes more difficult for us to stay connected with nature and its healing, grounding powers. 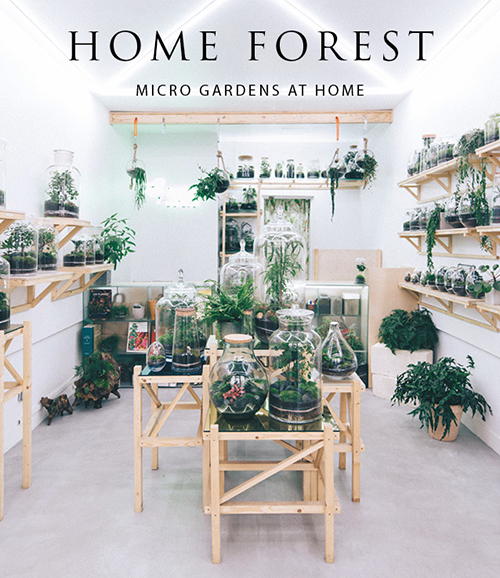 The artists and designers featured in Home Forest: Micro Home Gardens are not merely houseplant enthusiasts, but sculptors whose medium is soil and flora, glass and terra cotta, water and light. With potted plants, terrariums, mossariums, kokedama, wabi-kusa, wallscapes, and hydroponic systems, these innovative craftspeople seek to blur the boundaries between the indoor and the outdoor, between modern urban life and our wild ancestry. For readers who would like to bring bits of nature into their own homes, the featured projects provide inspiration with profiles and interviews that demonstrate how these systems can be constructed and maintained with very little space or effort.